Dr. Yuanqing Lin is now the Head of the Baidu Research. He received Master degree in Optical Engineering from Tsinghua University and Ph.D. degree in Electrical Engineering from University of Pennsylvania. Before joining Baidu, he was the head of Media Analysis Department of NEC Labs America, working on large-scale fine-grained image recognition and 3D visual sensing for autonomous driving. In November 2015, he joined Institute of Deep Learning (IDL) of Baidu, leading IDL to develop dominant AI technologies. Under his leadership, the team achieved top performances in several international datasets and doubled the number of researchers in 2016. 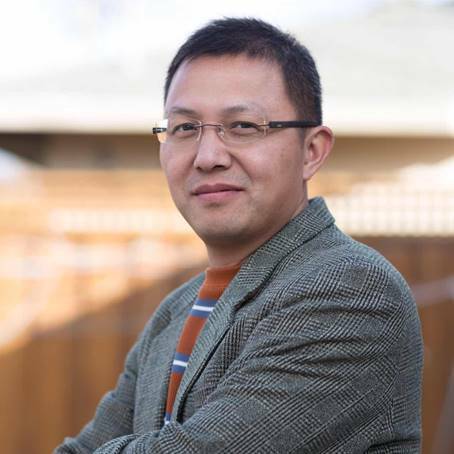 Dr. Yuanqing was elected to the Program of Global Experts of Beijing City in 2016, and was nominated as the Director of National Deep Learning Technology and Application Engineering Lab in 2017. From March of 2017, he started serving as the head of Baidu Research and being responsible for managing the four sub-labs: IDL, Big Data Lab (BDL), Augmented Reality Lab (ARL), and Silicon Valley Artificial Intelligence Lab (SVAIL). Since 2005, Dr. Yuanqing has published more than 40 papers in top academic conferences and journals, and owns 11 US patents. He served as area chair of NIPS 2015 and co-chair of International Workshop on Large Scale Visual Recognition and Retrieval 2012. Title: "VR & AR at Google: New Frontiers"
Onur G. Guleryuz is a Software Engineer at Google working on machine learning and computer vision problems with applications in augmented and virtual reality. Prior to Google Onur worked at LG Electronics, Futurewei, NTT DoCoMo, and Seiko-Epson all in Silicon Valley. Before coming to Silicon Valley in 2000 he served as an Asst. Prof. with NYU Tandon School of Engineering in New York. His research interests include topics in statistical signal processing, computer vision, and information theory. He has served in numerous panels, conference committees, and media-related industry standardization bodies. He has authored an extensive number of refereed papers, granted US patents, and has leading edge contributions to products ranging from mobile phones to displays and printers. He has been an active member of IEEE SPS, currently serving as Vice Chair in IEEE IVMSP TC. Onur received the BS degrees in electrical engineering and physics from Bogazici University, Istanbul, Turkey in 1991, the M.S. degree in engineering and applied science from Yale University, New Haven, CT in 1992, and the Ph.D. degree in electrical engineering from University of Illinois at Urbana-Champaign (UIUC), Urbana, in 1997. He received the National Science Foundation Career Award, the IEEE SPS Best Paper Award, the Seiko-Epson Corporation President's Award for Research and Development, and the DoCoMo Communications Laboratories President's Award for Research. 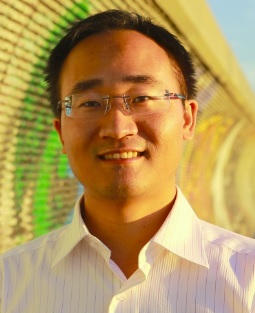 Title: "Rise of Multimedia for Social Network"
Dr. Xiaoyu Wang is a Lead Research Scientist at Snap Research; he is one of the founders of Snap Research and also serves as Chair of Computer Vision. Before joining Snap Inc., he was a Research Scientist at NEC Labs America, where he led a team to win the second place in the ImageNet Large Scale Visual Recognition Challenge 2013. His research interests include deep learning in autonomous driving, augmented reality, face analysis, object detection, large scale image retrieval, etc. He currently holds 20+ US patents.